~ What is the Public art of Cyprus website? ~ What is ‘public art’ in the Republic of Cyprus? ~ … and by whom? ~ Who are the artists? What is the Public art of Cyprus website? As previously stated, public art in this case refers mainly to sculpture, but also includes bas reliefs, mosaics and mixed media constructions. We define public space as any social space open and accessible to the general public; and any space which makes part of private of public properties, but is visually accessible from the social space. What is ‘public art’ in the Republic of Cyprus? Public art in the Republic of Cyprus is closely related to memory and commemoration; it is focused especially on historic memory and, thus, memorials tend to be predominantly war memorials. The majority of artworks listed here are busts, statues or architectural constructions with some kind of artistic intervention, usually bas reliefs. The bas reliefs depict portraits of dead soldiers and fighters during the various wars and those listed as missing due to the Turkish invasion, portraits of public figures, and heroic symbols which derive from Greek antiquity. The oldest artwork is a bust of Archbishop Kyprianos in Nicosia, made by the Greek sculptor Georgios Bonanos in 1901. Modern art per se constitutes a distinct minority in the public space in the Republic of Cyprus. Only since the mid nineties have private entities or state departments engaged with contemporary artists and driven modern artworks to decorate their premises or, in the case of the private domain, highlight the innovative character of their enterprise. The Government Law of 1992 and the 2003 amendments requiring that all state entities should invest 1% of their annual budget in artworks which should be placed in their premises, had a significant impact on state departments. Modern art in the public space in Cyprus has also been enriched as the end result of a series of international symposia recently organized by the Municipalities of Nicosia, Limassol, Polis Chrysochou (Paphos district) and Kato Polemidia (Larnaca district). Almost all memorials follow the conventional aesthetic forms of academic art. They repeat in a standardized manner the depiction of individuals, abstract ideas (such as liberty or victory), and of heroic symbols. Commemorating implies a selective memory and that corresponds to generalized, simplified and selective narrations. National myths need aligned narrations with clear cut edges, and vice versa to avoid obscure visual language. Academic narration uses explicit forms and familiar symbols to state its content with an aim to limit the viewers’ personal interpretations and focus their attention. Modernity, on the other hand, uses an implicit language which suggests and does not impose, and, thus, is open to personal and subjective connotations. Modern aesthetics are applied in less than twenty memorials altogether. In comparison to the aforementioned vast majority, these very few exceptions constitute the most interesting and intriguing cases. What is impressive and particular with the memorials of Cyprus is the extensive presence of individual dead and listed as missing soldiers and fighters. The Republic of Cyprus is a very recent state, counting only 53 years of independent life, since 1960 (and until 2013). 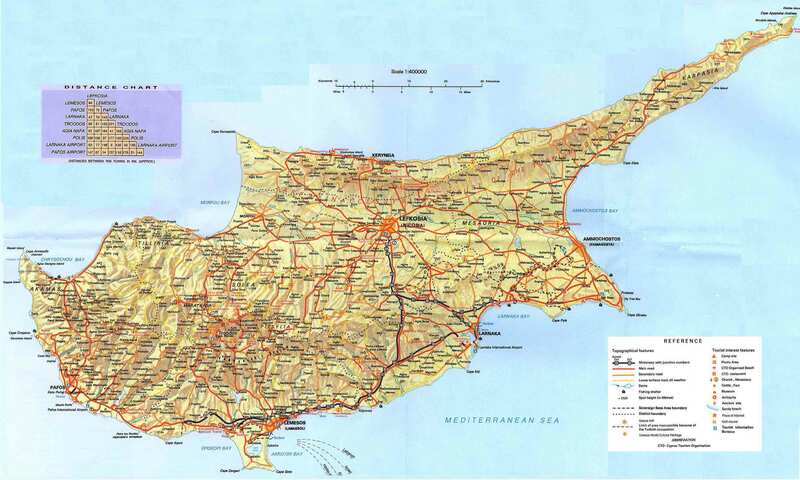 The deep conviction of the Greek Cypriots that they share the same nationality with the Greeks and, thus, the wish to make Cyprus officially part of the Greek state, dominated the Cypriot recent (19th and 20th century) history. The goal of official union (énosis) with Greece determined their domestic politics until the division of the island in 1974. The memorials commemorate mainly the EOKA 1955-59 struggle and its’ fighters who claimed the independence from British rule during the 1950s, and pursued the goal of official union with Greece. Second in series, given the numbers, are the memorials to the victims of the multiple inter-communal conflicts from 1958 till 1967; those killed during the 1974 coup against the President Archbishop Makarios III; and, last but not least, the dead and the listed as missing during the 1974 Turkish invasion and the consequent division of the island. War Volunteers, who participated, in bigger or smaller numbers, in all the wars of the Greek state during the 19th and the 20th centuries, make another distinct category. The Greek Cypriots’ initiative is indicative of their profound conviction that they make an integral part of the Greek nation and state. Distinct personalities from minority groups such as the Armenians, the Maronites, or, rarely, Turkish Cypriots constitute cases for commemoration and categories of listing in this website, too. Another broad category is “Public figures” which includes clergy, politicians, benefactors, artists of various disciplines and public dignitaries. All the memorials located in the villages and the communities are made since 1960, when Cyprus gained its independence from the British rule. Contrary to that, in the big cities of the island there are approximately thirty commemorative monuments altogether which were made before 1960. They are dedicated to public figures, war volunteers, and some of them are purely decorative artworks. Their common denominator is the aesthetic reference to neoclassicism, which was thriving in Greece until the beginning of the 20th century, and the thematic references to antiquity when purely decorative purposes were served. It is important to note here that the female presence among these categories is scarce although, according to archive sources, women did participate in various roles since the EOKA 1955-59 struggle and until the 1974 Turkish invasion and the division of the island. Nevertheless, women are never depicted with the male fighters, sharing the results of the struggles. There is only one explicitly mentioned woman fighter, known by her male nickname as “Filimon”, and a memorial dedicated generally to the women fighters of Pitsilia area, in Limassol district. Instead, women are commemorated either in their role as anonymous mothers of the fighters, wailing or mourning for their loss, or allegorically as the personification of motherland Cyprus. Individually they are named only as benefactors or educators. According to archive material deriving from the State Archive of Cyprus; the Advisory Monuments’ Committee (division of the Ministry of Education and Culture); the Historical Archive of the Board for the Historical Memory of the EOKA 1955-59 struggle (SIMAE); and the archives of the Municipalities, the initiative for the construction of memorials is taken at a local level by the municipalities or the communities. Especially for those dedicated to the dead during the EOKA 1955-59 struggle, the various inter-communal conflicts and the Turkish invasion, and/or to the listed as missing soldiers and fighters, family or friends or co-fighters often undertake the initiative. The co-fighters may act either individually or as members of ad hoc private committees, local, or broader, nationalistic associations and unions. Public bodies, such as the Ministry of Education and Culture, the Ministry of Interior Affairs, or the Ministry of Finance are usually involved afterwards: the committees that coordinate the initiative turn to them for financial support when the process is already ongoing: Sometimes the memorials are about to finish or are already finished. As a general practice, part of the cost is covered through private fundraising which is also coordinated by the local authorities or/and the ad hoc private committees. Until the early 1980s extensive fundraising efforts were taking place and, when a particularly treasured for his symbolic national value fighter was commemorated, they were effective enough to cover the whole cost. Ever since, part of the regular annual State’s budget is provided for the construction of memorials. Fundraising continues to be the way of covering the rest of the costs, but it is rather the associations, unions, or private enterprises to offer the money. A law which was voted by the Parliament in 1987 (article 48/1987) provided maintenance costs budgets especially for the EOKA 1955-59 memorials. The individual and arbitrary initiatives had as a consequence the low artistic quality of the majority among the memorials. That fact raised issues and debates since 1966 among the state authorities. The Ministry of Internal Affairs and the Ministry of Education and Culture on various occasions underlined to the local authorities the need to follow specific procedures, submit official applications and comply with the rules of the urban planning divisions. With an aim to control and prevent the initiatives at local and private level, the Ministry of Internal Affairs in collaboration with the Ministry of Education and Culture had established back in 1961 the Advisory Monuments’ Committee with the explicit role to advice on the location, the artistic procedure and the type of memorial to be erected. The “advisory” role of the Committee resulted in bypassing and overruling on many occasions during the following decades. In order to be more effective, in 1988 it was split into four local divisions (later they became five) each one corresponding to one geographic district. At the beginning of the 1990s it was apparent that without a solid legal authority the Committee could not vindicate an effective role. The request for legal authority was pending until 2005. In April 2006 the Parliament voted the amendment which ensured more jurisdictions to the Committee. The artists are engaged either as a result of a call for competition or through direct assignment. From 1960 onwards, with the exception of the international symposia aforementioned, the vast majority of the artists involved in the commissions are Cypriot sculptors, while the artists from Greece are decisively fewer. However, on many occasions when an artistic competition was called for, it was a “Pan-Hellenic” competition, implying potential submissions from both Cypriots and Greeks. Before 1960, though, of the twenty four artworks listed here, three were made by two Cypriot artists, while for five the artists remain unknown. All the rest were commissioned to Greek sculptors, among the most renowned in Greece and certainly, all of them, imbued with the neoclassic aesthetics and ideals. Contracts between the artists and the local authorities are available in the various archives and are indicative of how the role of the memorials is perceived in the Cypriot society. They all underline the need to promote the heroic ideals and/or the personality of the commemorated individual or individuals. The level of visual accuracy of these specifications, or the differences between the model and the final work has been in several cases the subject of disputes between the artist and the local authority or entity which coordinated the whole initiative. Sometimes the dispute is resolved with mutual concessions. Usually it requires the artist to compromise with the requirements of the commissioner. The prevailing goal of reminding, reproducing and cementing the symbolic power of the narrated national events and their protagonists almost excluded the parameters of originality and creativity. The definition of the word ‘commissioner’ is sometimes obscure within the Cypriot society because of the actors taking part in the initiatives, and of the partly or whole cover of the costs through private fundraising. What that means is that the community is very likely to have a strong (winning) opinion on how a memorial should be located, what it consists of (especially with regard to the memorial places directly associated with an event), or how the end result should appear. The element of narration throughout the constituent visual parts, the similarity of the facial features and the potent of the heroic symbols become the spearhead of these arguments. The particularities of commemoration, with specific reference to the war memorials, are closely associated with the aforementioned question “who is commemorated and by whom”; and by the question “why”. The fact that the initiatives for those memorials are taken on private or local level and not by a central State committee or authority, created a particular kind of “competition” amongst the local unions and associations, even amongst the families of the dead in the various wars and conflicts, and the listed as missing during the Turkish invasion. Taking into consideration the small population of the Republic of Cyprus (currently approximately 860 thousand inhabitants) and the rural structure of the society – despite the growth of the last decades – the interference at family level occurs as a natural consequence of the pride and honor code, a distinct element in the Greek tradition. On the other hand, the 1987 Parliament law which gave additional value to the commemoration of the EOKA 1955-59 fighters and, inevitably, classified them higher among the rest, is indicative of the symbolic power of that struggle and hence the union (énosis) ideology. The indirect incentives arising from that law and its’ symbolic meaning could possibly be associated with the creation of the Board for the Historical Memory of the EOKA 1955-59 struggle (SIMAE), in March 1993, and of the Foundation for the EOKA 1955-59 Independence Struggle, in 1997. Since the forming of the SIMAE, the memorials to the EOKA 1955-59 fighters multiplied. However, during the same period of time, out of ethical duty to equally honour all those who died during the various bloody conflicts with the ethnic minority group of the Turkish Cypriots, the 1974 Turkish invasion included, more memorials were erected. The unfulfilled goal of official union with Greece and the division of the island into two homogeneous ethnical zones in 1974 created a “culture of trauma” which is recycled and revived in both private lives and the public space. Although memory by default refers to the past, is selective and includes the nostalgic, thus fabricated, narration, commemorative art in Cyprus is particularly loaded with pain and mourning. Even the memorials dedicated to Liberty either bear explicit or implicit militaristic features, or are overwhelmed with despair, as the result of hardships. The fixation with loss in commemorative art deliberately maintains the unhealed trauma, mirrors the prevailing political ideology and determines both political and social life in the Republic of Cyprus. A number of commemorative monuments in the Republic of Cyprus are pure architectural constructions without depictions or artistic intervention of any definition. They list the names of the dead on a stele, or on a commemorative wall, or on a construction of a classical or minimal style. These cases, because of the lack of artistic parameter, are not included in this website. However, they are mentioned, along with all the rest of the works that are listed here, on the Open University of Cyprus’ official database, the “Kypseli” (Hive). That database hosts research projects of the Open University Faculty members and dissertations of Master and/or Ph.D. level of the university students and graduates. The “Cyprus: land of memories, places of art” project is located under the “Kypseli” data base . Its’ structure inevitably follows the specifications of the data base and consequently, it is limited. It presents only in the Greek language; it provides plenty of visual material, but only very basic data for each one of the artworks or monuments. Artworks located in semi-public spaces, where the access is limited and runs under certain regulations, are not listed in this website, either. In this category correspond the Abbots’ busts in the inner yard from the Kykkos administrative premises in Nicosia; the two memorials from the Nicosia central prison and the “imprisoned tombs” (filakisména mnimata) area; the various sculptures in the courtyard of the Melkonian Institute; Archbishop Makarios III statue in the courtyard of the Presidential Residence in Nicosia and Maria Mitzi bust in the Ayios Georgios Kontos monastery’ courtyard in Larnaca. All these memorials are listed at the “Kypseli” data base. Evangelia Matthopoulou, a Ph.D. student in Contemporary History of Cyprus at the University of Cyprus had been the research assistant for fifteen months and a valuable asset: She collected all the visual material by personally visiting all the locations of public artworks and retrieved all relevant archive material. Lena Katikou is a digital content manager & graphic designer. She has built this website and uploaded all the material. Christos Rodosthenous an Open University of Cyprus colleague from the IT department has technically assisted every step of this project. Eleni Gratsou is an artist and a Ph.D. student in Art History at the Open University of Cyprus. She has designed the logo of this website and project. Dr Adrienne Christiansen Associate Professor of Political Sciences at Macalester College provided access to the visual material she had collected during her research program in Cyprus. Various photographs used in this website, especially older versions of some memorials, are made available here with her kind permission. I am deeply indebted to all of them. This project could not have been concluded without their invaluable support, collaboration and contribution.